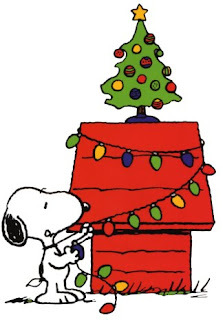 Nonsuch HP would like to wish everyone a Merry Christmas and a very happy new year. If you would like to learn more about the history of Christmas and its traditions, check out the History Channel's website, which includes information on subjects as diverse as the Christmas Truce during World War 1, the Roman celebrations of Saturnalia which were "adapted" by the Christian church to mark the birth of Jesus, and the story of Rudolph, who is 70 years old this year! 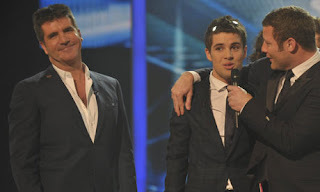 Simon Cowell has been proposing a new programme which allows the public to debate and vote on important political issues, "in the style of the X Factor". Is this workable? Watchable? Please let us know. PS: Here is Cowell being interviewed on Newsnight discussing his ideas (plus his views on the war in Afghanistan and whether he would make "X Factor North Korea". PPS: Here's The Guardian's view, comparing Cowell's ideas to the politics of Silvio Berlusconi. 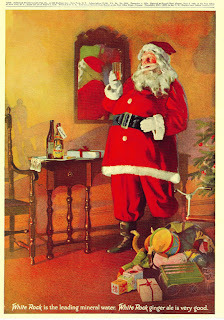 You have probably seen the irritating adverts associating Coca-Cola with Santa Claus. However, History Today reports that a rival drinks company, White Rock, began using images of the jolly red and white chap in 1915, 20 years earlier than Coca Cola. More images here. In other Santa news, claims have been made that St Nicholas of Myra, the Turkish Bishop considered to be the inspiration for Father Christmas, may be buried in, of all places, Ireland. Apparently crusaders removed the Saints body for its protection, briefly buried it in Italy, and then transferred it to the Cistercian Monastery in Jerpoint, County Kilkenny. So if you want to see Santa, don't fly off to Lapland - cross the Irish Sea instead! Alison Weir - our visitor last year - has written a new book on the last days of Anne Boleyn investigating the reasons for and circumstances of her fall. Very kindly, an old Nonsuch girl who left last year gave us a copy of the book which is now in the library. Here is a review from the Independent and here is a podcast of a discussion with Alison Weir at the British Library. Enjoy! A helpful reminder of American political events this year here from CNN. Regular readers of the blog may have noticed the world map at the bottom of the page. We have had visitors from across Europe, Asia and America but so far none from Australia. If you have friends or relatives from Australia please encourage them to take a look! 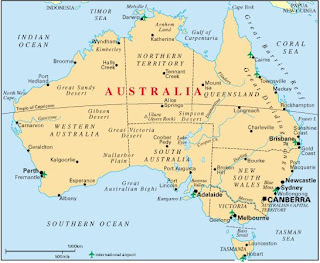 As an incentive, here is an interesting site that takes a comprehensive look at Australian history, from the arrival of the first aborigines through to the election of Kevin Rudd as Prime Minister. Australia and the UK share many common values as a legacy of an imperial past, but Australia's landscape, climate, immigration and location have contributed to its unique cultural identity. Important references within its heritage would include of course the arrival of Captain Cook and the first fleet (and its subsequent impact on the native Australian population), the settlement and federation of the country, the impact of war (particularly the involvement of the ANZACs in Gallipoli in World War 1, but also Ausralia's involvement in the Korean and Vietnam Wars) and perhaps more recently the success of the Sydney Olympics. If you think there are other important moments in Australian history or politics that should be noted, please let us know. PS: TheNational Library of Australia has a useful set of links here to other interesting websistes. Rhodri Morgan has stepped down as First Minister in Wales and leader of the Labour Party after nearly ten years in the post. 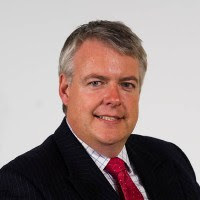 His replacement is the comparatively young Assembly Member (AM) Carwyn Jones, previously a barrister from Cardiff before he became an AM in 1999. See here for more information about him and here for the BBC story. Here is the video of Brian Landers' fascinating talk to the HP Society today. It was a wide ranging discussion of the nature of American and Russian imperialism, which covered everything from the Pilgrim Fathers to John McCain and Barack Obama. Nonsuch HP was fascinated to learn that 400 American marines were dispatched to the Arctic Circle to hunt down Bolsheviks in the "Polar Bear expedition" and also that parts of California were claimed by the Tsar of Russia, which directly influenced the "Monroe Doctrine ". PS: Many thanks to Mr Berry for his technical help with this post. This article from the Guardian suggests that the Tories electoral campaign may have hit trouble. 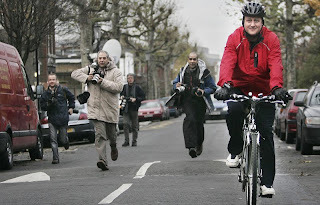 Criticisms of David Cameron's background and political inconsistency appear to have hit home with some voters, and a recent opinion poll cut the Conservative lead to six points. If voting behaviour remained like this on election day it could quite likely lead to a hung parliament. What's your opinion of the current state of play between the main parties? A great interactive guide here to how some famous US brands try to influence the political process through their donations. Have a look to see which party your favourite donates to and how much money they have given over the last 4 years. Does this change your opinion of them? How much influence do you think they have? 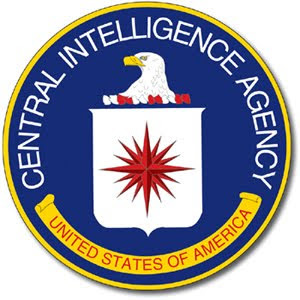 If you like code-breaking you might enjoy this site from the CIA. There are chances to look at and solve various famous codes from history. You never know - if you crack them quickly enough you might be offered a job! 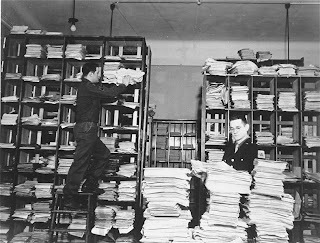 The main site is full of interesting information and primary sources, especially documents on the cold war, including recently declassified Soviet material. Please let us know if you find anything interesting! Today marks the 20th anniversary of the "End of the Cold War". On 3 December 1989 George Bush and Mikhail Gorbachev held a summit meeting aboard a storm-lashed Russian cruise ship off the coast of Malta. It was the first time the two had met since the sequence of events in Eastern Europe that had led to the fall of the Berlin Wall. 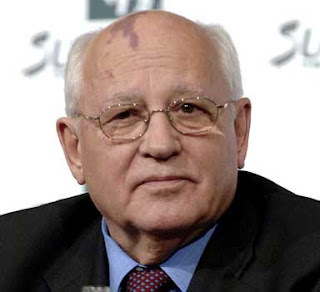 Gorbachev said, "we are at the beginning of a long road to a lasting peaceful era" and assured Bush that he would never start a "hot war" against the USA. More details of the summit can be found here. December 3 also marked the date that the entire East German government resigned, paving the way for reunification with the West. If you are thinking of doing some wider reading over Christmas, or have been asked what you want in your stocking, you may find inspiration at these websites. The Guardian and Telegraph History books sections have excellent reviews, often by historians, and give you a good idea of what is currently being published. Amazon.com of course has a vast range of books and you can see a few of them here. 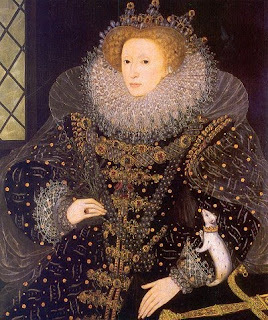 Here is a specific selection of Tudor History books and here is a guide from tudorhistory.org to useful authors. PS: On a similar subject, please note our new link to the Nonsuch English Blog on the right hand side of this page. On Tuesday 8 December at 1.20pm in Room 103, Nonsuch HP Society is lucky enough to have the author Brian Landers in to give a talk. 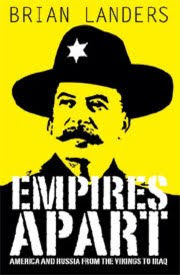 He has written a book called 'Empires Apart' analysing the parallel development of Russian and American Empires over the course of 400 years. It has some great reviews and promises to spark some debate about the role of Russia and America in the world today. Everyone is invited but it will obviously be particularly useful to GCSE students and above. See his website here for more information about the book and the author. It was St Andrew's Day yesterday and Alex Salmond grabbed the opportunity to publish his plans for Scotland's constitutional future including a proposal to put forward a referendum on independence. 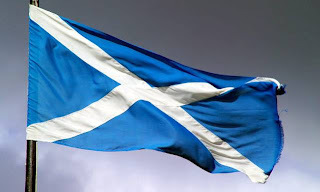 Although it is unlikely to happen as he does not have enough support in the Scottish Parliament, it is raising the issue of independence and putting more pressure on the government to give more powers to the Scots. Jim Murphy, the Scottish Secretary, has in fact already tried to pre-empt this announcement with proposals that do give more powers to the Scots. What do you think? Should the Scots go independent? Or would it mean the break up of the rest of the UK and a significant drop in European and World status? What might be the benefits and drawbacks? Here is the Economist's view on the issue and here is a comprehensive look at the issue from the BBC. The Chilcot Inquiry into the War has now begun. 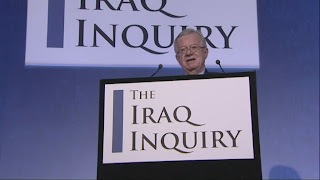 The BBC has a large amount of information including here a set of Q and A about what its remit is. Channel 4 has set up a special blog to cover the events here. Key questions being asked are: Will it be a whitewash? Will it be a waste of money? Will anyone be made accountable? Does it matter now? What do you think? The Wikileaks website has published over half a million electronic messages that were sent on 11 September 2001. It is unclear how it acquired these and the legality and morality of publishing private messages is rather dubious. However, it does provide further insight into the chaos, confusion and high emotion of that day. Here is more information on the story, plus an article about how Wikileaks has gained a reputation for exposing information others would prefer the public not to see. PS: Please note Wikileaks is not available on the school system. A new series of a History of Scotland returned last night. Dramatically told by Neil Oliver, it gives a very Scottish perspective on events from Charles I's reign and the growth of Presbyterianism to the Glorious Revolution of 1689. It tells the story of the Covenanters, radical presbyterians who signed an agreement between God and the people to retain their religion, and who were partly responsible for the Civil Wars. See here for the BBC's Scotland's History site and watch the programme. The controversial posts of EU President and High Representative have now been chosen and it is to be a Belgian, unsurprisingly, and a Brit, but not Blair. Lots of questions being asked which you may have a view on - are Van Rompuy and Ashton too obscure to make a difference or are they the consensus builders that an organisation with 27 members needs? 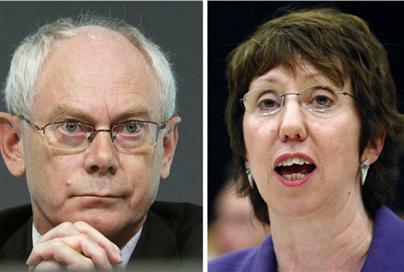 Is Baroness Ashton experienced enough for the post? What is the message the powerful countries are sending out about the future direction of the EU? See here for some articles and links from the BBC. The Queen has given her last speech of this Parliament. 15 Bills have been promised but there are only 33 working days in the House of Lords before the next election to get them passed. The Bills include a Child Poverty Bill and a Children, Schools and Families Bill to guarantee pupils and parents specific entitlements in education. 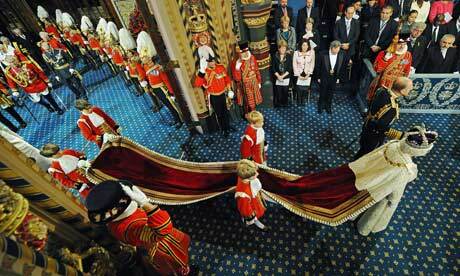 Is this ceremony unnecessary and out of date, and is it more about scoring points over the Conservatives? Let us know your opinion. 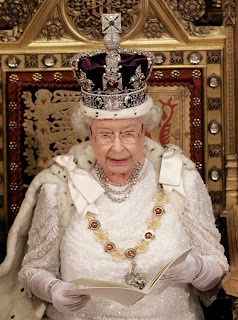 PS: Here is a link to Queen Victoria's speech from 1841. 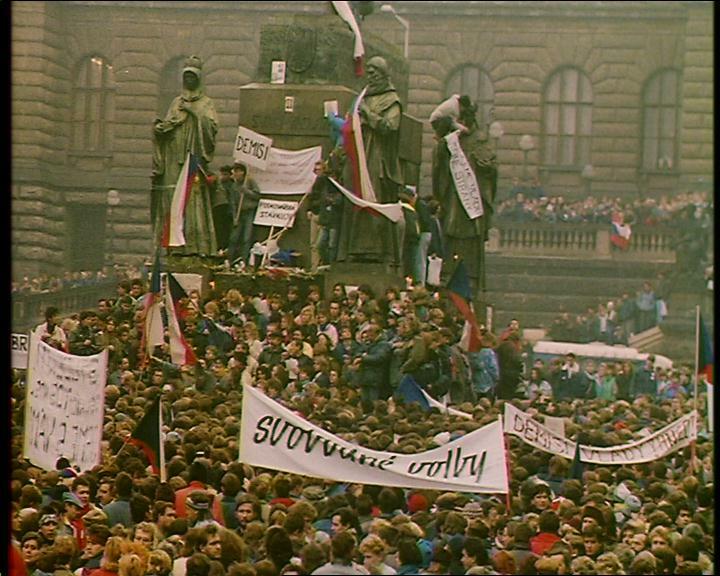 On 17 November 1989 a group of students in Prague began demonstrating for freedom and democracy in Czechoslovakia. Thousands of people joined them and 12 days later the Communist Party gave up its power. 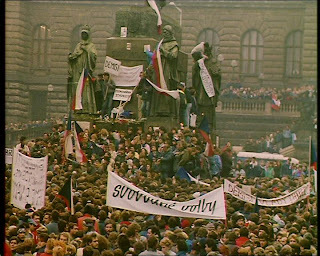 The anniversary was marked in Prague yesterday with rather more low key celebrations than were seen in Berlin, but Vaclav Havel, the playwright who became the figurehead of the revolution and later the president of the Czech Republic, was there to retrace the steps of the first demonstrators. There is BBC footage of the celebrations here and archive film of the events in 1989 here and here. John Simpson shares his opinions here. For the local perspective, here is the Prague Post. You may have noticed that a poll has appeared in the top right of the blog. Do you think there should be a Queen's Speech this year when the length of the next Parliament will be severely curtailed by the election? David Cameron doesn't think so. What's your opinion? Please also let us know if there are any problems with the voting process. UPDATE: This poll isn't very satisfactory as it turns out you have to have a blog to take part! Apologies for that. A new version should appear next week. For those of you who are fans of John Sargeant's efforts on Strictly Come Dancing and like a little politics with your dancing, here is a clip of Tom DeLay - Republican House Majority Leader 2003-5 - dancing the Cha-Cha-Cha on the American version of Strictly, Dancing with the Stars. Known as "the Hammer" in the House for his enforcement of party discipline, you cannot accuse the former pest exterminator and born-again Christian for being boring! There has been more than one significant anniversary this week. Here to mark 40 years of Sesame Street is Michelle Obama, who gives some handy vegetable growing tips. 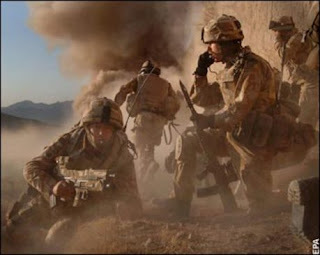 Should Britain pull out of Afghanistan? What is this conflict about? What has happened so far? What should we do? All these are questions that Year 9 have been asking but all over the country is up for debate and that politicians are trying to decide. Here is a link to the BBC website on this issue and then a link here to an argument that we should stay and a link here to one that says we should leave. What do you think? 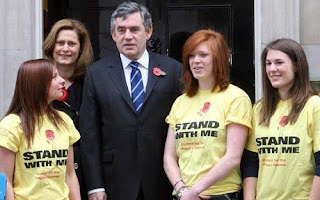 Here from our colleague at Politics Etc is a pointed and well-balanced comment on Gordon Brown's treatment by The Sun over the letter he wrote to the mother of a serviceman killed in Afghanistan. What is your opinion on this controversy? Here is a Berlin Wall quiz, courtesy of German magazine "Der Spiegel". There is also an interesting interview with Lieutenant-Colonel Harald Jäger, the first border guard to allow East Germans to cross into the west. He explains why he made that decision, revealing the chaos and confusion of the East German government that evening. Der Spiegel also takes a closer look at the significance of 9 November in German history, which also marks 1918 German Revolution which brought down the Kaiser, Adolf Hitler's Beer Hall Putsch in 1923, and Kristallnacht in 1938. 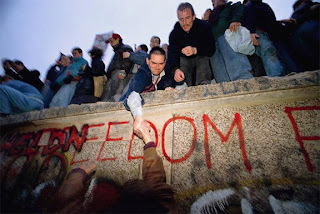 Today marks the 20th Anniversary of the Fall of the Berlin Wall. Here is a video showing the incidents that led to its collapse, and if you didn't see it, we recommend you watch the BBC documentary about the Wall which you can see here. PS: Here's a link to the article from The Times reporting events from that day and another explaining why celebrations will be slightly muted as 9 November also marks the anniversary of Kristallnacht. If you have a moment take a look at the first 5 minutes of Mastermind - linked here. 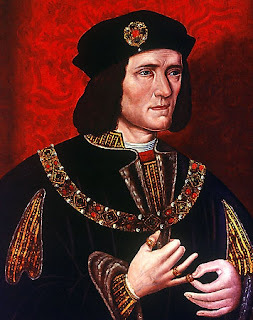 The questions are on Richard III and the contestant is very impressive. Please let us know how many answers you got right...there may one one or two you know! Here is yet another article moaning about how ignorant Britain's children are about history. "Adolf Hitler was Germany's football team manager, according to youngsters aged nine to 15," it says, and apparently 12% of the children surveyed thought Remembrance Sunday was represented by the McDonalds logo. Pardon? How was this survey conducted exactly? A passionate argument is put forward in favour of a written constitution for the UK in the Times today by Antonia Senior, see here. She argues that our system is broken and that, particularly on Europe, changes are being made that we do not have a say in. 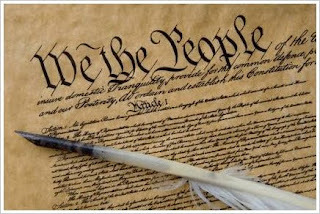 She believes that a written (codified) constitution or at least a debate on one, would change this. What do you think? This Sunday is Remembrance Sunday. It is especially significant this year as the last three British veterans of the First World War died during the year. A special service will be held at Westminster Abbey to mark their generation's contribution and you can read more about it here. On a similar theme a new statue has been unveiled on the famous "Fourth Plinth" in Trafalgar Square. It marks the contribution of Air Chief Marshal Sir Keith Park to the organisation of the Battle of Britain. The unassuming man was not even mentioned in the offical reports of the battle so his supporters are very pleased that his contribution is now being acknowledged. Have you worn a poppy this week? Some campaigners are very keen that you should and have poured heavy criticism on footballers, Strictly Come Dancing contestants, newsreaders and others that have not done so. 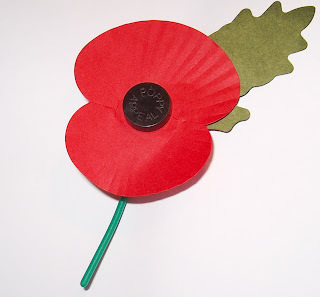 Nonsuch HP is not so sure about this and suggests that wearing a poppy should be your choice, and not a mandatory act. If you do wear a poppy, please consider all those who have served their country in the past and those who continue to do so today (often at great cost to them and their families) and please wear it with pride. Happy November 5th! 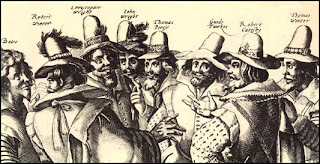 Here are some sites that provide more information on the Gunpowder plot of 1605, including an FAQ from the Houses of Parliament, questions on whether Guy Fawkes was framed, a more detailed look at the conspirators and a quiz from the BBC. The Guardian has set up a page where important figures debate the importance and significance of the events of 1989. So far Mikhail Gorbachev (Leader of the USSR in 1989)and Timothy Garton-Ash (political historian) have made contributions. A new BBC website which links all the political institutions here and allows you to see them all in action live, see here. Think about getting involved in the BBC School Report project which allows you to present the news! The Berlin Wall was breached on 9 November 1989. The celebrations that followed effectively marked the end of the Cold War, leading to the collapse of Communism in Eastern Europe and the unification of Germany. 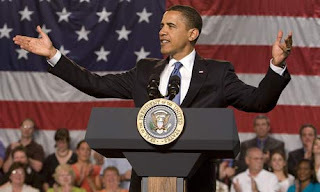 It was an exceptionally dramatic and exciting time to live through and it seems difficult to believe for many people that 20 years have passed since then. There is lots of information about to mark this anniversary. The BBC has created an archive of material about the history of the wall. 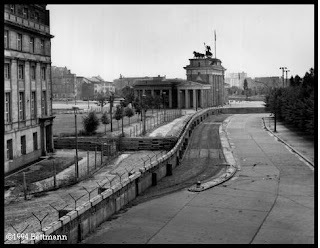 Jeremy Vine has made a radio programme which includes interviews with Germans who tried to escape over and under the wall. The Times has created an archive of its reports on the Wall's history, and also includes reports about modern Germans' attitudes to the wall in both east and west. 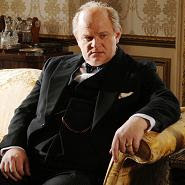 "Into the Storm" was on BBC2 last night and followed Winston Churchill through World War 2, looking in particular at his role in Dunkirk, the bombing of Dresden, and the Yalta Conference. If you missed it, check it out here on the iPlayer. Here is a review of it from The Times. An interesting case being taken up by the Supreme Court here. 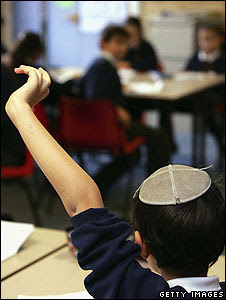 The Jewish Free School (JFS) in north-west London is being accused of racial discrimination in prioritising those children of Jewish faith. This is the result of a case brought on behalf of a boy, known as M, who was refused admission to the JFS because his mother converted to Judaism in a procedure not recognised by the office of the chief rabbi. The Court's decision may have consequences for all religious schools, as discussed here. What do you think? Have a happy half term! The use and misuse of History were discussed several times during Question Time last night. The BNP's use of World War 2 imagery has come under much criticism. Nick Griffin's views on the Holocaust were also rather convoluted. If you are looking for good sources of historical evidence on the subject, this is a very good place to start. PS: The picture above shows some of the evidence collected by war crimes investigators during the Nuremberg trials. Is the BBC right to allow Nick Griffin to speak for the BNP on Question Time tonight? Please let us know what you think, and if you watch the programme, post your reaction here. PPS: Here is some early reaction to the programme. 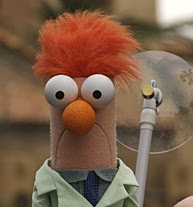 The BNP is claiming that Griffin was hounded by the panel and the audience. 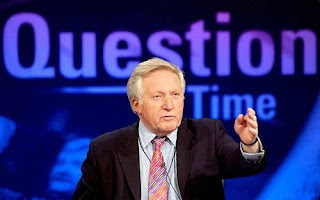 PPPS: Question Time got more viewers than Strictly Come Dancing this week! Here is the verdict of several writers in The Times. Here is the verdict of Bonnie Greer (a panellist on the programme) in the Daily Mail. 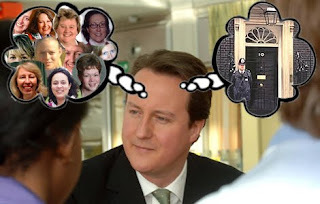 PPPPS: Here's Nick Robinson's observation of the situation, and 300+ comments on his blog post. All-women shortlists for the Conservatives? David Cameron has suggested that he might be prepared now to countenance all-women shortlists for Conservative candidates from January, using it as a threat to recalcitrant Conservative associations. But is this a good idea? Does it help or hinder women? Read Nick Robinson's take here and a debate on the Daily Politics here. Here is an interesting article about how social networks such as Twitter and Facebook have been very influential this week in building campaigns against the Daily Mail's Stephen Gately article and the Trafigura case (also reported in the Guardian here). 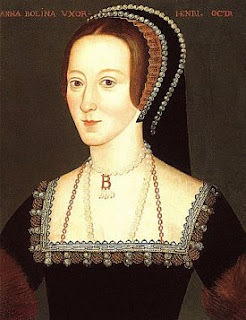 This post is for British A2 historians to leave comments on Tudor historians they have discovered and their interpretations of particular aspects of Edward and Mary's reign. Please leave comments and discuss each other's contributions. PS: This booklist may be of use, and here is an lecture on Edward VI given at a conference at Hampton Court in July. 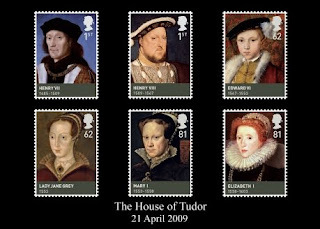 The historian John Guy (Clare College, Cambridge) has a useful website with notes on key Tudor issues. 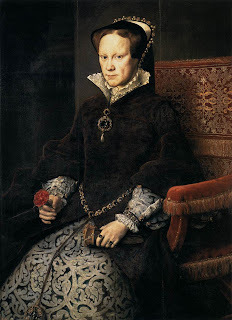 His essay on Mary's court and how it affected policy making is very detailed and has a useful bibliography of other Tudor historians, such as David Loades and Penry Williams. His links to primary sources are also interesting, particularly this book, which contains letters from Edward IV to Queen Elizabeth. Have a look! The pages really turn! Here is an interesting 5 minute video from the Guardian about the Berlin Wall, with residents of the city describing what it was like to live in its shadow. Several people who attempted to escape are also interviewed. PS: The Guardian is publishing new videos all of this week. Here is a link to them and other interesting articles. 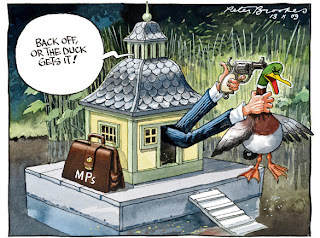 Peter Brookes, the cartoonist of the Times, has been on form over the last couple of weeks. See here for some of his latest creations. "If Christmas had happened in East Germany, it would have been cancelled. Mary would't find any napppies for the baby Jesus, Joseph would be called up to the army and the three kings wouldn't get a travel permit." Or, "What would happen if the desert became communist? Nothing for a while, and then there would be a sand shortage." 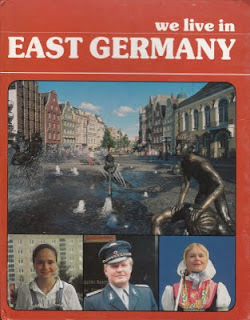 The humour is pretty dry, but it reveals the way many East Germans coped with the repressive regime and their dreary surroundings - through cynicism and sarcasm. Of course, the penalty for being caught telling such jokes could be very high. The Stasi had 189,000 informants who reported any criticsm of mockery of the government, and many people were arrested and sent to labour camps. The report is published by Der Spiegel, a German news magazine, and you can find further coverage (in English) of the events marking the anniversary of 1989 here. Here is a useful set of FAQs on Elizabeth I, including a list of all the errors (and there are many!) made in the Cate Blanchett film. 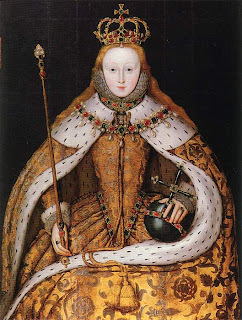 The website also contains a useful Tudor reading list alongside lots of other Elizabeth info. 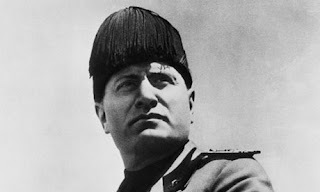 News has emerged the Italian Fascist dictator got an early break when he was paid £100 a week to spy for MI5, the British intelligence agency. Working as a journalist, he was paid to spread positive propaganda to ensure Italy continued to fight in World War 1 as an ally of the British. Cambridge historian Peter Martlett writes, "Britain's least reliable ally in the war at the time was Italy after revolutionary Russia's pullout from the conflict...It was a lot of money to pay a man who was a journalist at the time, but compared to the £4m Britain was spending on the war every day, it was petty cash...I have no evidence to prove it, but I suspect that Mussolini also spent a good deal of the money on his mistresses." PS: The official authorised history of MI5 has just been published. Here is a review. Today is the 943rd anniversary of the Battle of Hastings. Yesterday the HP Society marked this event with an exciting confrontation on the school field. The Saxon shieldwall faced up to the Norman invaders and terrible combat ensued. 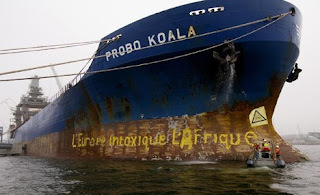 Here is a very detailed site on the causes, events and consequences of the battle. There are plenty of videos available on the subject, including this cheerful description of Harold Godwinson's death from Terry Deary. The BBC have also provided a game, and lots of other useful information. Let us know how you get on! 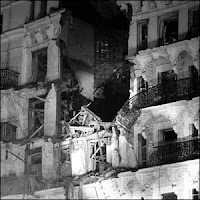 Party Conferences were transformed 25 years ago when the Prime Minister, Margaret Thatcher, was nearly killed by an IRA bomb. Five people were killed, including one MP, and security was from then on not taken for granted. Read more about this event here. Stand by for the Battle of Hastings in HP Society on Tuesday (Room 103 at lunchtime - bring outdoor clothes) In preparation for this, here is a map of the battlefield prepared on Google Maps (click on each shape and arrow for more information). 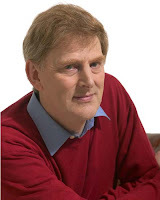 The creator of the map is a military historian who as plenty more to say on the subject in his blog. Wolf Hall's success continues to keep the journalists busy. 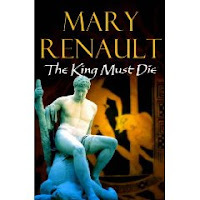 Here is an article celebrating the best in historical fiction, giving recommendations from Mary Renault's The King must Die (set in Ancient Greece) through to Patrick O'Brien's Hornblower novels (set during the Napoleonic wars). There are also plenty of readers' recommendations in the comments section.